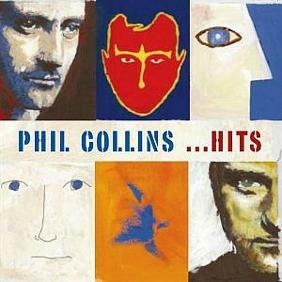 You can listen to many of Phil Collins' hit songs in the playlist above, and there are also a few tracks by Genesis thrown in their, too. Now here are some more details about some of the British singer/songwriter's work. Collins first gained fame as the drummer in the British rock band Genesis (Which reminds me, I really must get around to starting a Genesis page) during the 1970s, before taking the role as lead vocalist (he had also previously backing vocals) following the departure of frontman Peter Gabriel in 1975. While remaining in the band, Collins started a solo career in 1981, going on to achieve success with numerous chart-topping singles in both the US and UK and selling over 100 million albums worldwide. Despite his incredible success, Collins has had to endure harsh criticism from music reviewers and rival pop stars. 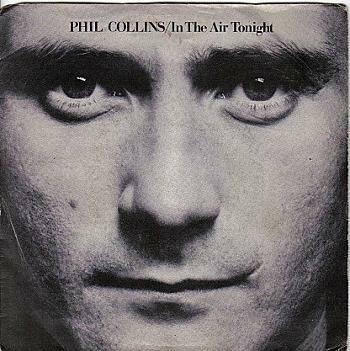 Annoyingly for Phil Collins, his debut solo single, In The Air Tonight, peaked at #2 in the UK charts in February 1981 (33 years ago as I write), and was kept off the top spot by John Lennon with Woman. At least he wasn't kept off the top spot by Joe Dolce's Shaddap Your Face, which was exactly what happened to Ultravox in the same month! 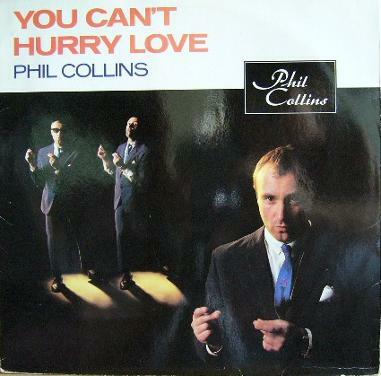 When Collins performed his song on Top Of The Pops, a can of paint could be seen on his piano. This was to highlight the fact that his ex-wife, Andrea Bertorelli, had had an affair with a decorator, and the lyrics in the song refer to the affair; "I was there and I saw what you did, saw it with my own two eyes". In The Air Tonight was actually written in 1979 when Collins divorced his wife. It featured on his debut solo album, Face Value, which went on to achieve 5 x Platinum sales in the UK. No review of this song can be complete without mentioning that drum sequence, known as the "magic break". Much of the track features not an awful lot happening under Collin's vocals, but it's a real case of less is more and this gives the song an incredible ambience. The quietness of the first three minutes make that drum part sound even more powerful, and I'm going to use the old cliche that it makes the hair at the back of your neck stand on end, because it truly does. The track also featured in a very memorable 2007 advert for Cadbury's Dairy Milk, where a gorilla (not a real one, obviously) played that drum part. This upbeat song was originally a #3 hit in the UK for The Supremes in 1966. 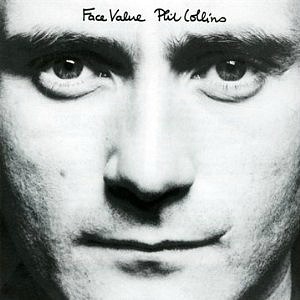 This cover which featured on the Phil Collins album "Hello, I Must be Going", faired even better, reaching #2 for two weeks in the UK singles charts from 15th January 1983. It was also a #1 in Ireland and Holland. Interestingly, this was also the first track on the very first Now That's What I Call Music album which was also released in 1983. Mr Collins had no less than 14 Top 20 hits during the 80's. I know it's a cliche to say this, but they really don't make 'em like this any more, and I still have memories of Collin's wonderful performance at Live Aid in 1985 - these were his mullet days! 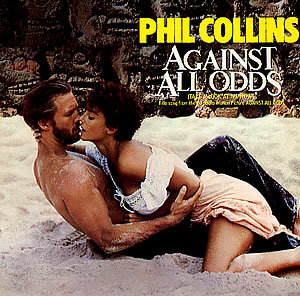 Released in early 1984, the soundtrack to the movie of the same name reached #2 here in the UK and also topped the Billboard Hot 100 in the U.S.
As you can see, Phil Collins achieved phenomenal success with his first four solo album releases during the 80s, with all of them reaching multi-platinum sales in both the UK and US. 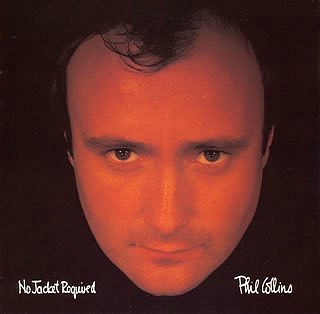 Collins was often criticised by the music reviewers of the 80s and 90s for simply being an unfashionable, balding man, but when you take the time to actually listen the songs on his third album you discover some of his finest work. From the energy of the opening track Sussudio to the beautiful harmonies in the moving One More Night, this album is packed with quality tunes. No, the music has never been fashionable, but who the hell cares apart from the pretentious reviewers who are trying to look uber cool to their teenage readers. If you lived through the 80s, then chances are you will have seen the romantic crime drama Buster. 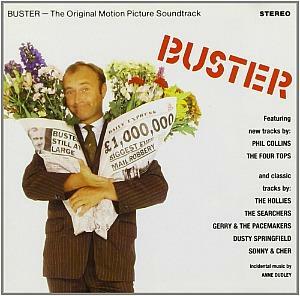 It starred Phil Collins as the lead character Buster Edwards alongside Julie Walters as his long-suffering wife, June and was based on the Great Train Robbery of 1963. 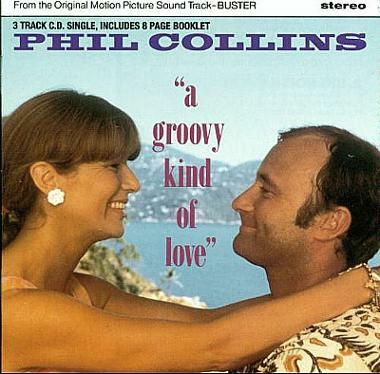 Collins also provided new songs for the soundtrack album - "Two Hearts", "Big Noise" and "Groovy Kind of Love". The Four Tops also provided a new track, the infectious Loco in Acapulco which was written by Collins and Lamont Dozier. The rest of the album featured classic tunes from Sonny & Cher, Gerry & The Pacemakers, Dusty Springfield, The Searchers and The Hollies. 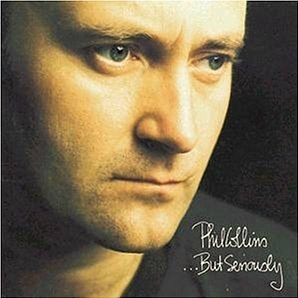 Phil Collins' fourth and final album of the 1980s was his most successful, achieving 8x Platinum in the UK. There are some outstanding and very memorable songs including the thought-provoking and moving Another Day In Paradise, which tells the story of a homeless girl who has been in and out of hostels and is forced to beg out on the streets. This is arguably Collin's finest album and one which I have been digging out at least once a year since I bought it way back in 1990.